Coming to United Arab Emirates and I wanted to take the chance for a few days of bird watching. I was hoping for some desert habitat after having been to Djibouti. 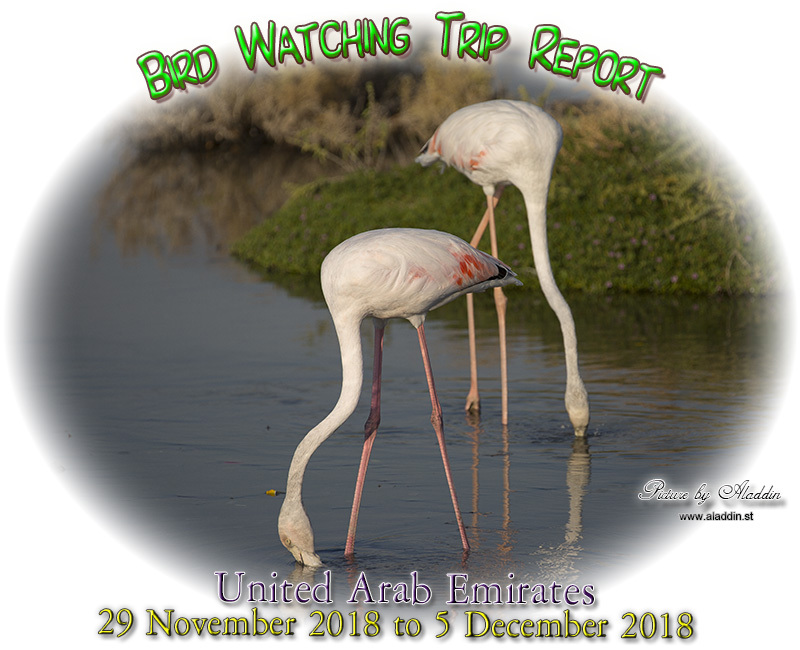 I searched the internet for information and I found UAEBIRDING.COM. They have a “GUIDING” section and I think thye were in progress to update their web page when I used the page. Most of the Guides had left the country or had given up guideing. Checking in on the “GUIDING” in March 2019 and their is only 3 guides available. The page have been through a major facelift and the 3 guides listed there now is available. Arriving with boat and I only got 72 hours before I had to leave the country. So I bought a ticket to Oman where I did some bird watching before I returned to Dubai. Arriving with a flight and I got 90 days at the immigration. UBER Click and download their app for your phone. Very convenient! Book the car from your room and when the car arrive it is just to go down to the waiting car. I have my card registered so no need to have any cash. Radisson Blu Dubai Waterfront. Booked on Radisson Blu´s web page. Worked very well and no need to use hotel.com etc. I have been to Africa and the Middle East before so I knew what weather to expect. 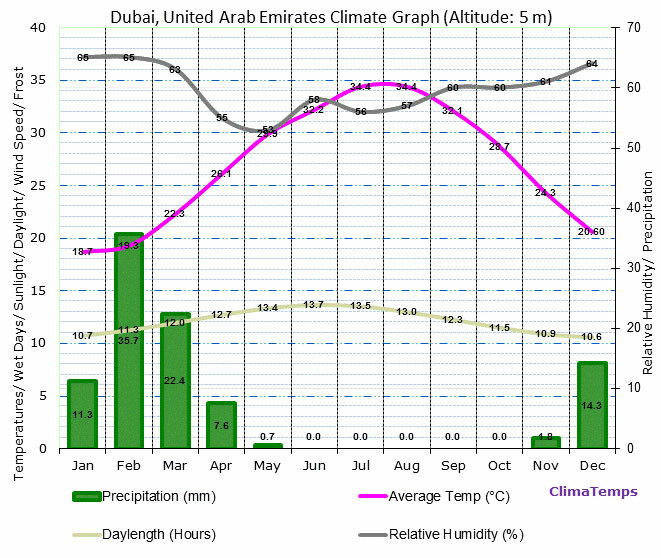 No need for any winter clothes, shorts and shirt would be enough during my time in United Arab Emirates. UAEBIRDING.COM Together with Fatbirder, the only thing you need for bird watching in United Arab Emirates. The website is dedicated to birders interested UAE birds and wildlife, aiming to provide as much up-to-date information as possible. It was started in October 2005 and is updated regularly. The web page have got a huge face lift since I was there in November 2018. It is easy to find your way around the site. The man running the site is very friendly and helpfull. He is a pilot for the Emirates so he is often out of the country piloting an airplane. But had a lot of help and the Guide Jacky made my visit to U.A.E to a beautiful adventure. 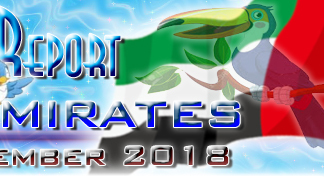 You can download the UAE-sites.xlsx: an Excel file containing all UAE sites with coordinates and notes HERE Make sure to visit UAEBIRDING.COM to get the latest version as they are updating the list. 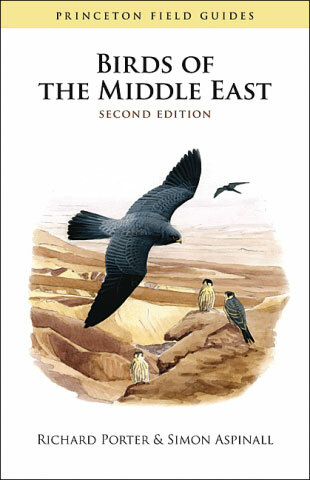 The Birds of the Middle East is the first comprehensive field guide dealing exclusively with the birds of this region. It covers all the species, including vagrants, found in the Arabian peninsula (including Socotra), Jordan, Lebanon, Israel, Syria, Irag, Iran, Turkey, and Cyprus. Over 700 species are described in concise texts giving full details of the plumage and voice of all recognizable forms. Distributed maps appear opposite the plates and are annotated with details of each species status and preferred habitat. Four artists have prepared a magnificent set of specially commissioned plates which show all the forms described in full color. The authors have extensive ornithological experience in the Middle East spanning over 30 years of research into the identification, biology, and conservation of the many wonderful species to be found there. This authoritative book will not only be an indispensable guide to the visiting birder, but a vital tool for those engaged in work to conserve and study the avifauna of the region, which is especially important for both the indigenous species and those which pass through it on their migrations between the Palaearctic and Africa. (Arabic: رَأس الْـخـوْر‎), Dubai, United Arab Emirates, is a wetland reserve renowned for attracting migratory birds in large numbers. The wetlands have large numbers of birds, crustaceans, small mammals and fish. Experience the mangrove ecosystems and all types of migratory birds from a closer view. You can easily spot, various migratory ducks, snipes, shanks, greater cormorants, eurasian spoonbills, and if you are lucky, even storks during the winter! Enjoy the pink of thousands of flamingoes all year round! If you are an extreme bird watcher, this hide is for you! Opening towards the vast waters of the creek, the hide offers all kinds of birds, from waders to raptors and everything in between! Al Warsan Lakes are two lakes connected to each other in the Dubai International City. This used to be one of Dubais star birding sites situated in the desert, then called called Wimpey Pits. Since construction of International City finished in 2005 it has shrunk dramatically in size and lost 90% of the birds that used to frequent this area. The Al Warsan Lakes was formerly called Wimpey Pits due to the Wimpey Construction Company that started the first digging out here in the empty desert. Massive amount of spillwater was dumped in the desert, creating a large body of water. It is now the site of a mega-construction site called Dubai International City and Dragon Mart, and the area is officially named Al Warsan. l Marmoom Desert Conservation Reserve is the first unfenced nature conservation reserve in the United Arab Emirates. It is located in the desert area of Saih Al Salam in the emirate of Dubai and comprises some 10% of the total land area of the emirate, including the extensive man-made desert wetlands, the Al Qudra Lakes. The Reserve spans over 40 hectares of desert shrub land and 10km of lakes and is home to 26 identified species of reptiles, nine of mammals and 39 species of plants. It provides a sanctuary for 19 animal species considered endangered, as well as flocks of between 300 to 500 flamingos and over 360 other bird species, of which 158 are migratory. Rare species observed at Al Marmoom include the Egyptian Nightjar and the butterfly Coeliades Anchises Jucunda, which is native to the island of Socotra, off Yemen. Its announcement, in January 2018, followed public concern regarding the fouling of the area by tourists as well as a number of deaths of wildlife in the lakes. This is a large area of desert, tree plantations and man-made lakes only 40 minutes from Dubai's Mall of the Emirates; great for desert birds like Cream-coloured Courser, Chestnut-bellied and Pin-tailed Sandgrouse, Black-crowned Sparrow-lark, the scarce Greater Hoopoe-lark and a good possibility of Lappet-faced Vulture and other raptors. (Arabic: رَأْس ٱلْخَيْمَة‎; IPA: [raʔs alˈxajma]), to an extent identified with the historical area of Julfar is one of the seven emirates that make up the United Arab Emirates (UAE). The capital city and home of most residents is also called "Ras Al Khaimah", sometimes abbreviated to "RAK City". Its name in English means "headland of the tent". The emirate borders Oman's exclave of Musandam, and occupies part of the same peninsula. It covers an area of 2,486 km2 and has 64 km of beach coastline. (Arabic: ٱلْـعَـيْـن‎, al-ʿayn, literally The Spring) is a city in the Eastern Region of the Emirate of Abu Dhabi, on the United Arab Emirates' border with Oman, adjacent to the town of Al-Buraimi. It is the largest inland city in the Emirates, the fourth-largest overall (after Dubai, Abu Dhabi, and Sharjah), and the second-largest in the Emirate of Abu Dhabi. The freeways connecting Al-Ain, Abu Dhabi, and Dubai form a geographic triangle in the country, each city being roughly 130 kilometres from the other two. Al-Ain is known as the "Garden City of the Gulf" due to its greenery, particularly with regard to the city's oases, parks, tree-lined avenues and decorative roundabouts, with there being strict height controls on new buildings, to no more than seven floors, and according to one author, an oasis around Al-Ain and Al-Hasa in Saudi Arabia are the most important in the Arabian Peninsula. That said, the region of Al-Ain and Al-Buraimi, altogether Tawam or Al-Buraimi Oasis, is of cultural and historical importance. For example, the area witnessed events relevant to the history of Islam during the Rashidun, Umayyad and Abbasid eras, similar to Dibba and Ras Al-Khaimah. It was where Sheikh Zayed bin Sultan Al Nahyan, the founder of the United Arab Emirates, spent much of his life, at least since 1927, before becoming the Ruler of the Emirate of Abu Dhabi in 1966. Al Jimi oasis has been farmed for centuries and, in addition to thousands of date palms, the visitor will find large native trees such as the sidr (Zizyphus spinachristi) and ghaf (Prosopis cineraria) and plants cultivated for their medicinal properties. The restoration of over a dozen buildings within the oasis provides an insight into the agricultural and administrative importance of this area from the early 18th century onwards. Jabal Hafeet (Arabic: جَـبَـل حَـفِـيـت‎, translit. Jabal Ḥafīt, "Mount Hafeet"; variously transcribed Jabal, Jabel or Jebal and Hafit or Hafeet – literally "empty mountain") is a mountain in the environs of the city of Al Ain in Eastern Arabia. 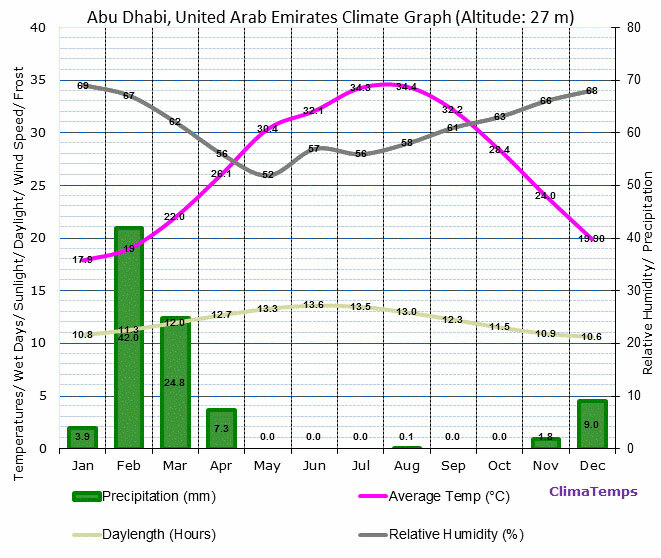 Al-Ain is in the Eastern Region of the Emirate of Abu Dhabi, on the United Arab Emirates' eastern border with Oman. Like Al Hajar Mountains, it is shared between the United Arab Emirates and Oman. The mountain has given its name to a period in UAE history, the Bronze Age (3200 to 2600 BCE) Hafit Period, because of the discovery of a cluster of important Bronze Age beehive tombs at its foothills. A captive Arabian leopard at a nearby zoo. Wild leopards had been seen in this area in the 20th century. The mountain is home to endangered species. On the mountain has been observed the yellow bloom of Acridocarpus orientalis. Numerous other plants have been seen around caves in the mountain. The caves of Jebel Hafeet are a natural habitat for a wide range of animals, including bats, foxes, snakes, rodents, and hyraxes. The lizard Acanthodactylus opheodurus, which until 1982 was considered extinct in the UAE, has been observed in the area. 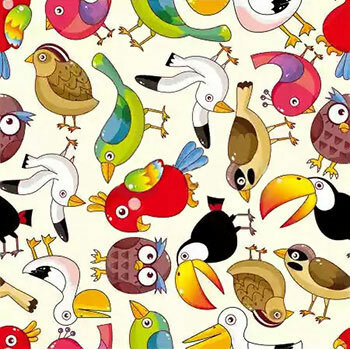 Among the birds, there is the greatest biodiversity of the whole country: a study counted 119 species of birds. Finally, they have been cataloged, with about 200 different insects, and 23 species of butterflies. Recently, seven species of lacewing insects were discovered here. They were previously thought not to have been in this country, but in Saudi Arabia. The Arabian tahr is also found here. In 1949, an Arabian leopard was spotted here by Wilfred Thesiger. In 1976, one was shot and wounded, as reported by Hellyer, who claimed another sighting in 1993. The leopard is now possibly extinct in the country's wilderness. In addition, rock hyrax were recently introduced here, and could serve as prey for the leopard, if the latter had to be re-introduced. Ain al-Fayda, looks to be an abandoned construction site West of the Jebel Hafeet. Leaving the construction area and we drove out in the desert to look for birds. (Arabic: بُحَيْرَة زَاخِر‎, translit. Buḥayrat Zākhir) is a man-made lake in Al Ain, United Arab Emirates. It was created from treated waste water that was released onto land, which pushed up groundwater levels and eventually resulted in the development of a lake. One of Dubai's top vagrant hotspots, if not THE best. A must during migration, late August to early November and late February through May, but can also be good in winter. !!! DON´T FORGET CASH, AND CASH ONLY! OR YOU HAVE TO GO BACK HOME AGAIN !!! (in Arabic: حديقة مشرف) is 5.25 square kilometre (1300 acre) family-oriented park in Dubai, United Arab Emirates. It is located in the eastern part of the city (near the suburb of Khawaneej), about 16 km (10 mi) from the traditional center of Dubai. The park was created in early 1980s by Dubai Municipality and was widely expanded and refurbished in 1989. Besides presenting 13 models of Arabic and English houses. The park presents other facilities including bicycle track, electronic entertaining games, football fields, theater screenings, excursion and barbeque services. For resident Pallid Scops Owl and wintering raptors. Can hold some interesting warblers during migration and in winter. But the list can come in handy to find out the local name of the bird etc. And Avibase have a list with pictures and sounds, excellent! So I have 4 different checklists from different parts of United Arab Emirates below.